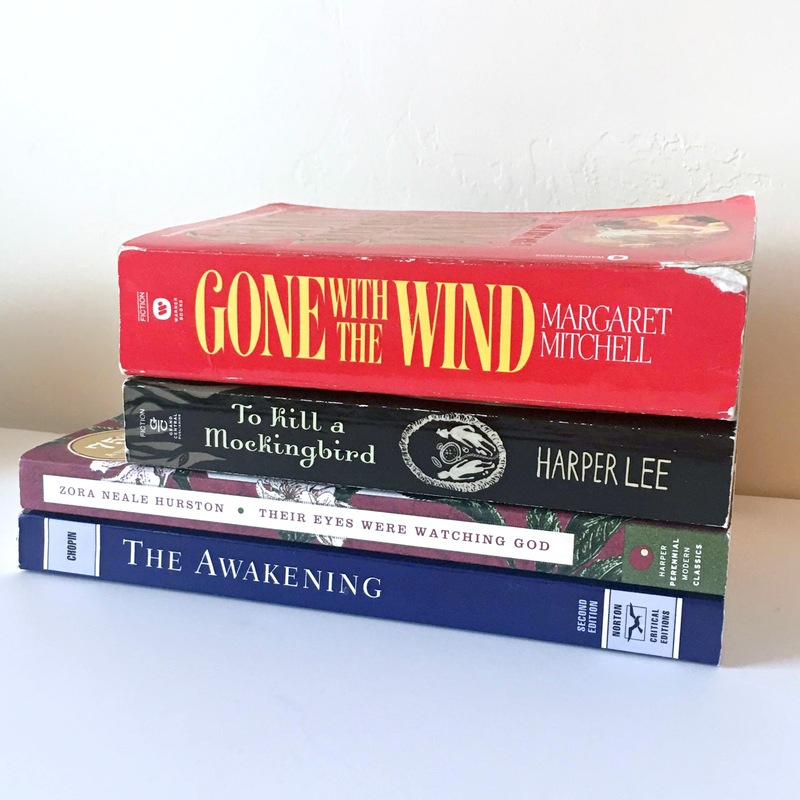 I would be entirely remiss if as a teacher, reader, and writer, I didn't take a post to give a shout-out to the American Library Association's Banned Books Week. During September 25th - October 1st, 2016 this annual event fights for and celebrates reading freedom. Someone once tried to make me feel bad about reading banned books. It was an off-hand comment they made to me in passing and I just kind of stood there dumbfounded. Clearly, they had no idea with whom they were speaking. Exhibit #1: that semester I was teaching a class using only banned literature. 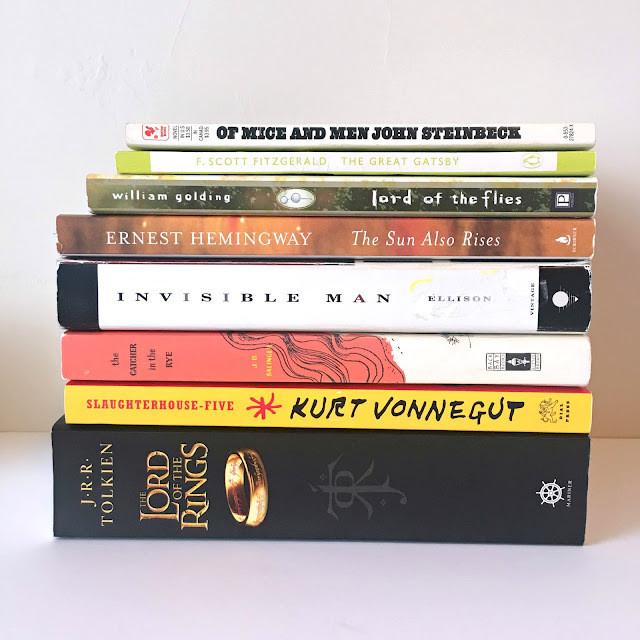 The majority of people's push-back to celebrating banned books is their mistaken belief that by enjoying these books and the right to choose, you are somehow infringing upon their right not to read select texts. For me, that couldn't be more inaccurate. I'm a devout believer in everyone having the right to choose to read and not read whatever they want. Along with this, however, is my position that you better not dare take that right away from someone else. Don't mess. To each his or her own. As I looked over some of my own bookcases this morning, it was not a shock to me that some of my favorite books have been frequently banned and challenged. Some of these books helped shape my personality, inspired me, taught me about equality, and engaged me with humanity. I only pulled a few off of the shelf for some quick pictures as there were many I could have featured. As I did so, I noticed an interesting trend: many of these books were one of multiple copies I've owned over the years. The Sun Also Rises? Second copy. To Kill a Mockingbird? Second copy. Their Eyes Were Watching God? Second copy. The Awakening? Third copy. For the books that have remained my first and much-loved edition, I love seeing the well-worn pages, rubbed spines, and slightly torn bindings. This is particularly evident on my copy of Gone With the Wind which has been read and loved twice. 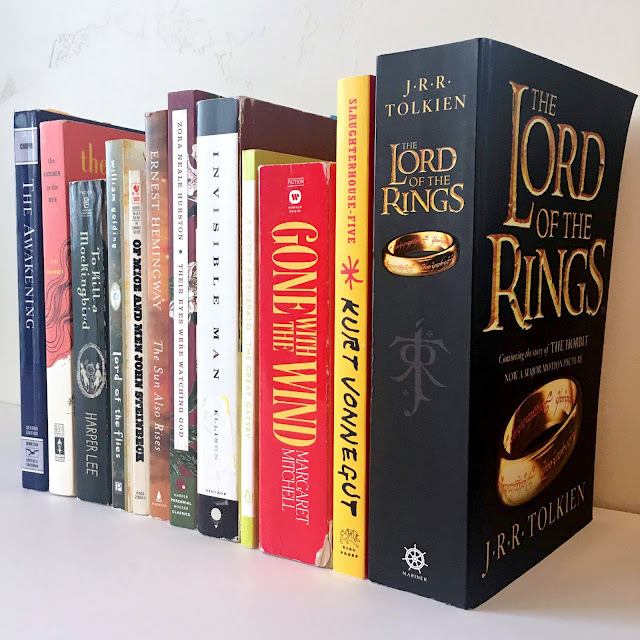 Amid their promotional items, the ALA also posts information regarding the First Amendment, resources for teachers, events in which readers may participate, and details about frequently banned and challenged books by category (young adult, children's, classics, etc.). Much of this information has been gathered in part with the Office of Intellectual Freedom. Some books I own that I didn't photograph have also been frequently challenged in recent years: The Glass Castle, Thirteen Reasons Why, The Hunger Games, The Absolutely True Diary of a Part-Time Indian, Nickel and Dimed, The Adventures of Huckleberry Finn, I Know Why the Caged Bird Sings, and lest I forget, Harry Potter. That's right, HARRY POTTER! I love that series so much, the idea of someone taking it away from me would be devastating. Do I want to read every book that's been banned or challenged? Nope, not at all. Some of those books don't sound interesting, engaging, uplifting, or simply my style. I rarely choose something to read simply because it's been on a list, but it can be educational to see what I loved or enjoyed that's listed on the ALA's Banned Books page. I've not yet read a Khaled Hosseini novel and he's frequently on these lists. Will that dissuade me? No. Could it for someone else? Probably. As long as we are both free to choose and have equal access, then for me that's what this week is all about. Have you read or loved a frequently banned or challenged book? Are any of those I mentioned or photographed among your own favorites? What are you reading lately? I think easily 80% of my favorite books were once upon a time challenged/banned. I'm really glad that I can access words, regardless of a censor's opinion.